Africa has become a testing ground for technological leapfrogging. This is a process that involves skipping stages and moving rapidly to the frontiers of innovation. Technological leapfrogging in Africa has, so far, focused on economic transformation and the improvement of basic services. Drones are a good example: they’re used in the continent’s health services and in agriculture. In South Africa, robots play a crucial role in mining. Now, in a remarkable extension of technological leapfrogging, Somaliland has become the first country in the world to use iris recognition in a presidential election. This means that a breakaway republic seeking international recognition will have the world’s most sophisticated voting register. Somaliland’s shift to such advanced voting technology emerged from a lack of trust because of problems with the 2008 elections. For instance, names were duplicated in the voter register because of pressure from local elders. These fraudulent activities and other logistical issues threatened to undermine Somaliland’s good standing in the international community. Of course, Somaliland is not the only country in Africa to experience problems with its election processes. Others, like Kenya, have also turned to technology to try and deal with their challenges. This is important. Being able to hold free, fair and credible elections is critical in democratic transitions. The lack of trust in the electoral process remains a key source of political tension and violence. Technology can help – and Somaliland is set to become a regional powerhouse in the production and deployment of the technological know-how that underpins electronic voting. So how did Somaliland reach this point? And what lessons do its experiences hold for other countries? The first lesson, then, relates to political will. Since 1991, Somaliland has operated as an autonomous state trying to build new institutions. One of its central goals is to gain international recognition as a sovereign state. Being able to conduct free, fair, credible and just elections is central to this goal and its international image. Somaliland wants to rank highly in the indices of democratic performance – and that’s a strong driver to develop and embrace electoral practices that are in line with international standards. The second involves problem-solving and incremental technological learning. Somaliland wanted to reduce voter duplication. It compared the efficacy of different face, finger and iris recognition technologies, and this assessment showed that iris recognition was superior. Pilot efforts then allowed for lessons in the design of the system, which helped to reduce anxiety over the consequences of possible failure during elections. It also made the process transparent; interested users could access the available datasets. This enhanced public trust. Somaliland has also wisely used international experts in biometrics. Much of the debate about the use of electronic voting systems centres on how the technology is procured. The country sought the support of Notre Dame University in the US in 2014. Their world class work on biometrics is led by Professor Kevin Bowyer. Such partnerships ensure technical expertise. This, in turn, helps boost ordinary people’s trust in their country’s electoral system. The shift to electronic voting has also influenced the conduct of some observation missions. In Somaliland, electoral observation will in future include examinations of the iris recognition technology. This changes the expertise needed to observe elections. This approach is in sharp contrast with the 2017 Kenya elections. There, international observers used traditional monitoring methods – and validated an election that was later annulled by the country’s Supreme Court. It was a case where electoral institutions had not caught up with technology. This raises some wider issues that need to be addressed so that they don’t get in the way of this progression. The first is to emphasise that the technology, in most cases, will enhance and upgrade political infrastructure – even if they appear to bypass or replace it. For example, there are concerns that drones, used to transport medical supplies in places like Rwanda and Tanzania, divert financial resources from multi-purpose infrastructure like roads. In fact, the use of drones in medical supplies expands infrastructure options. They allow countries to align delivery means with specific needs, in a timely and efficient manner. Secondly, technological and service leapfrogging usually go together. This has been demonstrated in Africa’s mobile revolution. The widespread adoption of the Mpesa money transfer system best illustrates this point, as it is about changes in consumer behaviour and local manufacturing. Finally, there are ample opportunities for international joint ventures in technological leapfrogging across Africa. Many of them however are being smothered by taxation and regulations. This is partly because of the pressure to generate state revenue and partially due to a lack of understanding. With more products and processes to trade with, the world stands to benefit from Africa’s increased participation in the global technology market. And it is encouraging to see that this is a movement which has the political support of African presidents; a support reflected in the adoption of the Science, Technology and Innovation in Africa Strategy (STISA-2024) by the African Union. For now, Africa’s technological futures are not only open but expanding in all directions. Somaliland’s application in improving governance is the tip of the iceberg. It creates exciting possibilities for the continent to provide leadership in other areas of technological advancement. 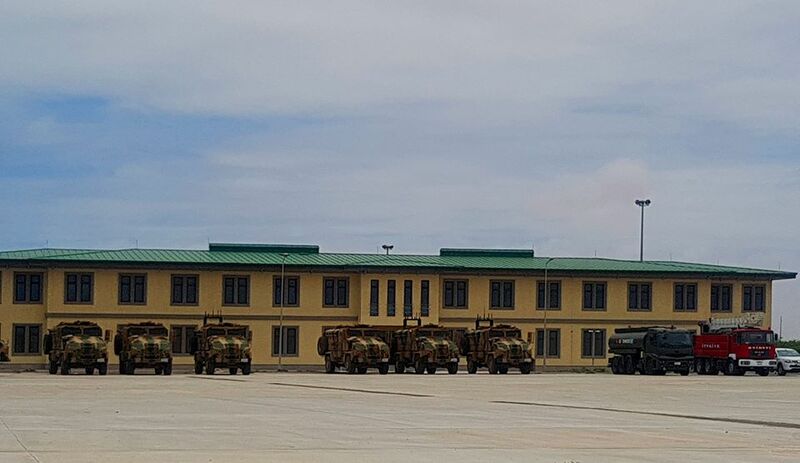 ANKARA: Turkey opened its largest overseas military training camp on Saturday on a 400-hectare seafront site in Mogadishu, the capital of Somalia. The $50 million camp, which has been under construction since March 2015, was inaugurated by Somali Prime Minister Hassan Ali Khaire and Gen. Hulusi Akar, Turkey’s military chief of staff. About 200 Turkish soldiers will train 10,000 troops from the Somali Army, in squads of 1,500 at a time. Ibrahim Nassir, an Africa expert at ANKASAM, a think tank in Ankara, said the camp was a concrete reflection of Turkey’s historical responsibilities in the region since Ottoman times. “The insecurity of Somalia has a spill-over effect on the general instability in the region. Therefore, with the restructuring of the Somali National Army, Turkey will contribute to the regional security,” he said. 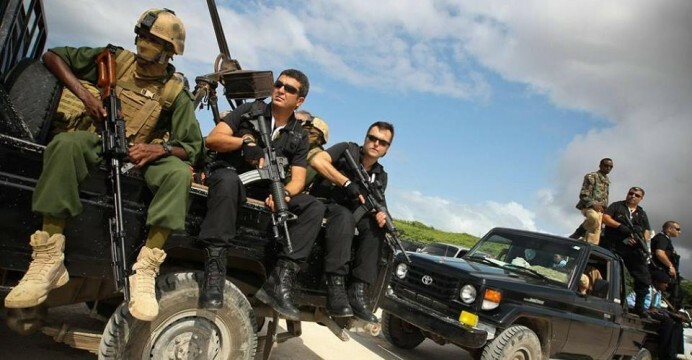 Turkey also has experience in providing military training to officers of some African Union countries, including Somalia, in their fight against the terrorist group Al-Shabab. Nassir also underlined the long experience of the Turkish military in counter-terrorism efforts against the outlawed Kurdistan Workers’ Party (PKK) and Daesh. Pinar Akpinar, a scholar at the Conflict Resolution and Mediation Stream of the Istanbul Policy Center, said establishing a military camp in Somalia was a way for Turkey to secure a long-term role thereby balancing soft and hard power capabilities, and was part of a broader policy of establishing a military stronghold in the Gulf of Aden. “This is a trend among regional powers due to the diminishing US interest in the region and their aspirations to increase their leverage in the region by undertaking security provider roles,” she told Arab News. SALDHIGGA CIIDAN EE TURKIGU MUQDISHO KA FURTAY YAA KA FAA’IDAYA MA DHINAC MISE LABA DHINAC? Dalka Turkigu waxa uu saldhigga ugu weyn ee ciidan dalkiisa ahi yeesho ka furtay magaalada Muqdisho maalintii shalay ahayd. Xaddiga lacageed ee uu ku kacay saldhiggu waxa la gu qiyaasay in ay dhan tahay $50,000,000. Waxa kale oo dawladda Xamar caddaysay in la gu tobabari doono ciidan Soomaali ah oo gaadhaya 10,000 oo askari. Waxa ay iyana dawladda Turkigu ay uga markhaati kacday dawladda Xamar in saldhigga ciidan uu ka caawin doono Soomaaliya helista ciidan tayo leh oo ku filnaada ilaalinta amniga iyo difaaca dalkooda. Marka la ga yimaad, weedhaha yiddidiilada ah ee labada dhinac ay isku waydaarsadeen furista saldhigga Turkiga ee Muqdisho. Bal aan aqoonta iyo garashada siyaasadda la kaashanno waxa ka dhexeeya Turkiga iyo Soomaaliya dhinacyada amniga iyo dhaqaalaha. Fahamka noocan ahi waxa uu innagu beegayaa in aynnu jawaabo sax ah oo maangal ah ku oddorosno sheegashada labada dhinac ee ah in Turkigu Soomaaliya u faa’idaynayo oo uu walaalnimo kaalmaynayo – sida uu ku doodayo Ra’isal-Wasaare Khayre iyo hoggaanka ciidanka Turkiga Hulusi Akar, iyo in dhanka kale – saldhiggaa ciidan uu noqon doono hal bacaad la gu lisay oo hal dhinac oo Turkiga ahi faa’idadiisa musaqbal uu ku keliyeysan doono . Turkiga cusubi waxa uu Soomaaliyada cusub yimi 2011 goor ay Soomaaliya abaaro iyo macaluul aad u faro-weyni dul hoganeysay oo baahida aadane ay dhuuxa iyo lafaha jabisay. Wakhtigaa dhegaha Soomaalida reer Soomaaliya wax hoo aan ahayn ma ay dhawaaq dhegaysaneyn. Wakhtigaa dayacu jiray ayuu Turkigu ka faa’idaystay Soomaali! U ma uu faa’idayn Soomaali oo iyadu sidaa u haysata – waase uu ka faa’idaystay oo uu khariirad siyaasi ah ku dul jeexday! Gargaarkaa Turkiga oo la gu sheegay in uu dhammaa $200,000,000, waxa uu Turkigu raaciyey 2012 heshiis la magac baxay ‘The Enforcement Pact’ oo dhanka ciidanka ah. Waana kan sababay in Turkigu saldhigga ciidan ee ugu weyn ka furto Muqdisho. Heshiiskaa laftiisa waxa uu Turkigu ballanqaaday in uu ciidanka Soomaaliya tobabarro siin doono dhinacyada cirka, dhulka iyo badda intaba. Ogow marka dal saldhig ciidan oo noqonaya kiisa ugu weyn amma ugu horreeya ee adduunka uu furanayo, waxa dalka uu ka saldhigga ka dhisanayaa ka qaataa lacag toban jeer ka badan tan saldhigyada caadiga ah la ga qaato. Sababtuna waa in baahida dalka ciidan jimicsanaya loo ga faa’idaysto dhaqaale ahaan. Nasiib-darro-se Soomaaliya ammuurtaa waa ay ka indho iyo dhego la’ dahay – waxana ay u ciil qabtaa cid shilimo hoo tidhaa aan xisaab celin lahayn si loo boobo. Ummad ba’daay yaa ku leh? Intaa kuma uu san joogin e, waxa uu sannadkii xigay ee 2013 la galay heshiis dhanka dekedda Muqdisho ah – isaga oo dabada ka riixaya shirkad Turki ah oo la yidhaa Al-Bayrak si ay labaatan sano u maamusho dekedda. Waxana lagu heshiisyey in 55% dakhliga dekedda ka soo xerooda la siiyo dawladda Xamar halka 45% kale uu Turkigu qaadanayo. Sidoo kale madaarkii Muqdisho ayaa isna waxa la wareegtay shirkad Turkiga ah oo dawli ah oo la yidhaa Favori LLC. Sida dawladda Turkigu ay miisaaniyaddeeda ka warrineyso, dalka Soomaaliya dhaqaale aad u badan ayaa Turki ka soo gala, waxana uu noqday dalka shanaad ee uu alaabta ugu badan kala soo dego adduunyada. Alaabtaa la ga la soo degaa waxa ay tahay si waafi ah loo ma caddayn – sidoo kale cid la xisaabtami karta Turki oo Soomaaliya joogtaana ma jirto – waayo waa hore ayuu qalbiga iyo maankaba ka xaday isaga oo ka faa’idaysanaya qoqobka iyo gaajada Soomaalida dhex taal. Ammuurta ciidanka iyo tobabarkiisa suuro-galnimadeeda waa uu ogyahay in aaney munaasib ahayn. Waayo dalalka jaarka ah oo uu cilaaqaad fiican la leeyahay ayaan kalsooni ku qabin in ciidan danbe Soomaaliya loo dhiso. Isaga oo taa dhawraya – afka oo uu ka yidhaa ciidan ayaan dhisayaa iyo waxoogaa dhoolla-tus ah oo uu saraakiil darajooyin ugu soo talo marka la ga yimaad -Turki sinaba ugu suuro-galimayso isna diyaar u ma aha ciidan cid ka raalli ahi aaney jirin oo Soomaali qudheedu ay ku kala qaybsan tahay in uu Muqdisho ka dhiso. Sidaa darteed, saldhigga ciidan ee Turkigu furay waxa uu noqon doonaa mid keliya u adeega danaha Turkiga ee mandaqadda. Waxa kale oo uu aad uga faa’idi doonaa helista khayraad badan oo aan cidna kula xisaabtamin – isaga oo aan waa Turkiga e, marnaba ilaawayn tobabar macno-darro ah oo dadka Soomaalida ah la gu suuxiyo si ay u moodaan in ciidan amni u ilaalinaya iyo dawladnimo danbe u soo socoto. Muj: Axmed Jaamac Saban ( Janan Oogo). Sawirkani waa Muj.Axmed Jaamac Sabban, oo ku magac dheeraa “Janan Oogo”. Wuxuu ka mid ahaa saraakiishii waaweyneyd ee SNM. kuna shahiiday dagaaladii. Muj. Axmed Jaamac Saban, wuxuu ku dhashay magaalada Hargeysa 1954-kii, wuxuuna waxbarashadisii hoose ku soo qaatay dugsiga Shiikh Bashii, waxbarashadii dugsiga sarena, dugsiga sare ee Faarax oomaar, Hargeysa. Markii danbena wuxuu ahaa saraakiishii Ruushka loo diray ee wax ku soo baratay, toddobatanaadkii. Muj.Janan Oogo, markii danbe wuxuu ahaa saraakiishii waaweyneyd ee ka dhiidhiday xukunkii dooxatada,wuxuuna ku biiray ururkii dhaqdhaqaaqa waddaniga Soomaliyeed ee SNM. Mujaahid Janan Oogo, waxaa lagu xasuusta goobo baddan oo dagaal, kii ugu danbeeyey”se ee uu noloshiisa ku waayey waxay ahayd 1988-kii, markii ciidamadii SNM, Burco galeen, oo dagaal xoogani ku socdo,gurmad baddana meel walba ciidankii Soomaaliya ka soo gaadhayo, ayaa Muj. Janan Oogo iyo saraakiil kale oo baddan waxay go’aan sadeen inay gurmadka Hargeysa ka baxaaya joojiyaan, isla markaana ay burburiyaan ciidamadii Dawladda ee fadhiyay cadaadley iyo nawaaxigeeda. saddexdan guuto, iyagoo aan dhaqaaq joogsi lahayn ayey ciidankii cadawga isa soo kortaageen, galabnimadii 29.May.1988-kii, waa jibkooduna wuxuu ahaa. 2. Barkhad inuu qabto taliska gaaska 12naad. 3. Sancaani inuu qabto ilaalada kowaad ee Cadaadley oo fadhigeedu ahaa Weeraarta. Mujaahid Janan Oogo, wuxuu ahaa abaanduulihii guutada Sayid Cali, oo faqashtu aad uga cabsoon jirtay. Wuxuuna galabnimadii 29.May.1988-kii, saacadu markay ahayd 05:30pm, Uu xabadii ugu horeysey ku riday, taliskii guutada 86-aad. Waxaana halkaas ka bilowday dagaal aan waxba la’iskula hadhin, waxayse guusho muddo 30 daqiiqo aan ka badnayn, ku raacday, guutadii Sayid Cali, waxayna si xarago leh ula wareegeen, taliskii 86-aad ee ciidanka faqashta. Waxaase soddonkaas daqiiqo ku shahiiday, abaanduulihii guutada Sayid Cali, Muj. Axmed Jaamac Saban, “Janan Oogo” oo ciidadamada hor kacaayey. iyo afar mujaahid oo kale. Usha weeye lagu dayo. Abwan Ibrahim Gadhle. Mujaahidku xilkiisii waa gutay, illahayna janatal farduusa haku abaal mariyo, waxaase wanaagsan isaga iyo mujaahidiintii kaleba inaan la ilaawin ee la xasuus naado, goobo muhiima oo magacyadoodu ku waaraana, loogu magac daro. Waa dhaqan waddani! Abwaan Adan Tarabi. Dhimasho xaq ah, oo ta ugu saraysa ee shahiidnimada ah, ayay shahiideen, Mujaahidiintii SNM.